A man ( Phil) with 17 years of black project experience. He estimates that black budget projects are probably about 500 billion per year. Much of the money to support the 135 underground bases where the strange and amazing stuff happens. Most not good for our future per Phil. Enjoy — if true very amazing. Prior to 2001 I knew I had spent thirty-eight years wondering if what I was experiencing was real. For me it was, but to others it was not. This is the biggest force against those who are experiencers. Disbelieve by others, especially those you love the most. It didnâ€™t matter what environment I was in: whether it was with family or church what I was seeing was considered demonic and of the devil, some blew it off as a result of my marijuana phase in my late teens and early twenties, but that never explained what I saw prior to it. I couldnâ€™t win for losing when it came to finding answers. In my early childhood I use to have an invisible friend. I was told it was a phase and that I would grow out of it. At six I had a fear of the dentist that led my mom to cringe every time she thought she would have to take me in. Apparently the stress was so much that she avoided it as much as possible. Even when I was sixteen she asked my grandmother take me in, because she didnâ€™t want to see me freak out in the chair again. She never knew how I would react. But the dentist wasnâ€™t the only one I would have problems with. I had to go in for a shot with the doctor at around seven years of age; it took six staff to hold me downâ€¦again an embarrassment to my mom. The biggest examples of strangeness in my life were at four, eight, and twelve. Between four and six I remember having a male baby sitter that would take me away from my brother and hurt me. I confronted my mom about this sitter in my thirties. I just wanted to know who he was. Her answer was not something I wanted to hear, â€œyou never had a male babysitterâ€. Due to the answer I had to revaluate my life. Could my memories be a lie? Under the use of hypnosis I found out what was really happening and it had nothing to do with the male sitter. Then at eight I was taken into the doctor for vaginal bleeding. My mom and grandmother couldnâ€™t believe that I started my period at that age, though it had been known to happen. I remember them making a huge deal out of it all. It was embarrassing to say the least. It was the end result that left everyone confusedâ€¦apparently I had a surgical cut in my vaginal area that no one could explain. They thought that maybe I had fallen on something that cause it, but they still couldnâ€™t explain the precision of the cut. Then at the age of twelve I began having nosebleeds. They would just start and then end. Worried my mom ran me to the doctor. He could not find a cause, so to be a professional he decided to say I was allergic to dust. It was the only explanation he could come up with at the timeâ€¦and it did make sense since I lived in the deserts of New Mexico. But when I moved back to the humidity of central Oklahoma and they still appeared. The clincher would be when we moved back to New Mexico they disappeared. I was back in the desert, but they were gone for the most part. Later in life they would appear once a year or more. Not like they did at twelve through fifteen. These were just some of the everyday aspects of my life that were not only known to myself, but to my family as well. Then came the unknown experiences. The ones I would never share for whatever reason. They were the most challenging for I had no one to back me up with them. It was these experiences that would make me stand out from my siblings and friends. While there are certainly others, there are four main players of the Montauk synchronicity. Hubbard, L. Ron, (yes, the founder of Scientology), developed his (religion)- the special club from his Naval career in Naval Intel. Naval Intelligence has been involved in psychiatric research, and L. Ron grabbed on to these cutting edge techniques and formulated his quite famous book- Dianetics. Naval Intel fingerprints are all over Montauk. L. Ron had also researched human implants and how they could control mankind, and it has been rumored Camp Hero was also an implant station. The next player is the man called either the most evil person on earth or the wisest man on earth (your choice), Aleister Crowley. Aleister, besides having direct or indirect relationships with the other Montauk players, had bio-rhythmic synchronicities with the Philadelphia Experiment and the Montauk Project. Crowleyâ€™s important personal events were linked to dates of the major events in the above projects/experiments. These next players are, The Camerons: Duncan Sr. and Jr., Edward (Al Bielek) and Marjorie. This group was smack in the middle the Philly experiment and the Montauk Project. First, Duncan Jr. occupied the time machine, and he was aboard the USS Eldridge as the Tesla field went crazy. Secondly, Duncan Sr. was a Naval official who may have been responsible for transporting the Nazis scientists to the US to develop rockets, the A-bomb, zero point energy, and strange stuff at Montauk (see our July 14th posting). Thirdly, Al Bielek (half brother of Duncan Jr.) was also on the Eldridge with Duncan as they jumped overboard and forward in time. Finally, Marjorie Cameron, a possible relation to the other Camerons (not perfectly calculated yet), also had a Navy career working directly for the Joint Chief of Staff. But her checkered career ended in a court martial. Her real claim to fame was her marriage to Jack Parsons, who was a genius and a rocket scientist. Jack, L. Ron, and Marjorie inter-acted together and worked on a project call Babalon Working, a similar project to Montauk using sexual energy instead of Tesla technology to move on the Time-line. I mentioned these characters because they were a few of the core players in Montauk and the Philly experiment; a web of synchronicity connected these people. It is very possible they never felt their deep connection in this space and time. This is a vast mystery of profound importance, and 99% of the people of this country know nothing of it. We are missing incredible knowledge because we refuse to be engaged in our Universe and are afraid to look into others. I will do a three part series on this quite interesting individual. Engineer and geologist who for a time, worked for our wonderful government building underground facilities where strange stuff took place. In this part he and a group other engineers, worker and military, are directed from the military elite to dig down in a place in the Four Corners Area, which turned into a hornets nest of alien beings. For that mistake Phil gave up some fingers and toes. That crazy day 66 people died in a battle with the aliens. So Phil says. MWiz Thanks always to YOU TUBE. Some have said Montauk is on a corner of the vast vortex called the Atlantis Realm – which may cause the strange events in the area most know as the Bermuda Triangle. This northwest corner is Montauk Point, a place of powerful maybe sacred energy. Here is where the Army put their radar base, Camp Hero, and after the war, an underground facility was built. In a chamber a time regulator was developed; in the science fiction world it was called The Time Machine”. With this device people like Duncan Cameron would flow in another direction out 6000 years. Duncan Cameron came from Celtic bloodline, and I would not be surprised if he was also Native American (see my April 28th posting). Duncan was one of only a few whose mind could handle the madness. Montauk is one of the most compelling stories on earth infecting a few and touching us all. So a group of the military and some contractors fused a not so peaceful union to build a machine and play with the dimension of time. At first they used transients, runaway children and just lost souls, so basically humans were kidnapped. They were put in this capsule, egg-shaped vehicle and pushed on to the time line. Some came back and some were/are stuck in limbo, sort of frozen in time. As soon as this technology was refined, timeonauts (time- astronauts), moved along the time line safely and successfully. 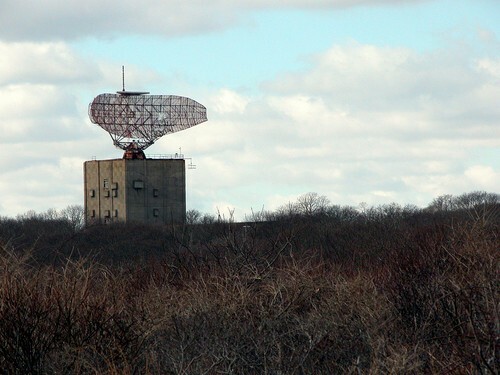 Also many of the workers on the Montauk Project lead a strange dual life with only glimpses of the other life. Their dual life is the force, which helps to drive the synchronicities they must un-puzzle to keep a little sanity. The Montauk web is so powerful just me writing this short posting will create synchronicities for me related to this strange drama. Enjoy and learn â€“ life is short. Startled!â€¦. you awakenâ€¦.. thinking you just woke up while lying in your own bed, your eyes are not quite yet focused, how can it be morning, already, â€œyou say to yourselfâ€, it must be the sunâ€¦ it is so bright as you feel the perspective of the sun shining in thru the window. â€œMy gosh!â€ I donâ€™t think I slept that well during the night. â€œI feel so tiredâ€. In a dazed mood â€œwhatâ€™s the matter with my arm, â€œI canâ€™t raise it, I canâ€™t move my arm, what the heck is wrong!? â€œMy body!â€ I canâ€™t turn my body overâ€! Eyes focusing more clearly as you are becoming more awake, eyes staring upwards glaring on what you thought was the bright sun shining very bright thru your bedroom windowâ€¦..â€Hey what goes on here!â€ â€œThatâ€™s not the sunâ€! â€œThatâ€™s aâ€¦ thatâ€™s a light above meâ€ Panic sets in â€œwhere am Iâ€?? Iâ€™m not in my bedroom! â€œWhy canâ€™t I move my bodyâ€!? â€œDid I get sick, am I in the hospitalâ€? As your eyes are swishing hurriedly back and forth, you find out that you cannot move your head, you get a glimpse of something so very strange. Something you have never seen before! â€œOh my God, what a dream I am havingâ€! â€œWake up! Wake upâ€! You tell yourself. Realizingâ€¦you are indeed awake â€œI am awake!â€ â€œI am awakeâ€! â€œYour mind is going through a tizzyâ€! Eyes now focused on the strange looking large pear shaped head that has two large almond shaped black eyes that captivates your being totally! Your body begins the shaking of what I â€œcalledâ€ shaking at 50 miles per hour shake! As you break the captive stare into this creatureâ€™s large eyes, you see thin arms quickly noticing the three long strange fingers stretching outwards coming directly at you holding some type of strange utensil, â€œOh my God!, The pain, the pain, it hurts badly!â€ â€œWhat is happening to me, as you move your eyes and see more of these same types of creatures surrounding you, you either black out to an unconscious realm? You have just lived a scenario of two to three seconds of an abducteeâ€™s first awakening encounter of an abduction experience with the extraterrestrials known as the â€œGreysâ€™ (or one of the another known extraterrestrials) onboard one of their â€œshipsâ€. This has been the emotional experience of those of my clients and of myself during our first experience of an abduction. There are no words in our vocabulary to describe an abducteeâ€™s first emotional reaction to an unfamiliar place with unfamiliar creatures who have paralyzed you and are doing medical work while onboard their ship. By the second or third abduction, you begin and are able to describe the â€œallowed memoryâ€ of where you are/were. Sometimes, you are allowed to move your head. You listen intently for any type of noise, and all that you can hear is the movements of (rolling?) tables that hold unidentifiable equipment that is used on your body. You think your screams are being heard by who?? â€œYouâ€?? Your vocal cords that you use to speak, cry, holler, scream are rendered â€œquiteâ€. As you nervously look around your environment and in-between the six or seven creatures who are â€œworkingâ€ on your body you can begin to describe your unfamiliar place and try to put it into perspective. Given, Iâ€™ve heard all descriptions of the â€œroomâ€ â€œtheyâ€ meaning human abductees are in are round rooms, no corners just a smooth metal looking round room. Some rooms glow with the color of aluminum or a silver metal, some reports are the room’s color is a soft beige color. In the medical rooms where the majority of medical treatments are done on humans you may see small black boxes against one wall, where medical equipment along with other â€œstuffâ€ is held in these black boxes. Some type of sliding door (s) opens up to allow not only the creatures to walk through. When the Extraterrestrials feel you are ready (after many abductions later). While you are under their control, and have no free will yet to move about! For the present time you have become â€œtheirâ€ â€œlab ratâ€ for the many various medical or scientific procedures. Millions of human abductees are allowed after many abductions to lay awake in their own beds, here on earth, while the extraterrestrials with their finger just touch the human abductee around the temple area of your head. Its like being put to sleep before you are takenâ€¦..What is the procedure of â€œtakenâ€ to their ship? Again, it is not necessarily that you are put into an unconscious sleep to be â€œtakenâ€ to their ship. Many human abductees are awake but paralyzed and floated through walls of their home, or if the abductee is outside of their home, many have described a large circular white light that â€œliftsâ€ them up as in a suction cup carrying the human upward into the darkness of a dark night time sky into the unknown. Again abductions do happen regularly in day light. Last part of the 5 part series, see the fireball crash video from Russian military sources. Stanton Friedman – Aliens blow up six rockets on Russian launch pads. Yes strange stuff happening in Russia whole lake disappears in minutes . Seeing is believe , but under Putin less is being seen. Montauk is a small community at the end of Long Island. An Army Base (Camp Hero), a time machine, small pyramids, and interesting people and events are all part of the Montauk scene. And then there are the people who make up the web of synchronicity, some live on Long Island but many are scattered around the world. I consider myself part of this strange group and I wasn’t asked to join. In 1997 I was visiting beautiful Mt. Shasta and doing mediations to contact the dimensional beings that have been known to hang out on that mountain. In the cute town called Mt. Shasta there is a great metaphysical bookstore named- The Golden Braid. There I was grazing through the books and low and behold a book called “The Montauk Project – experiment in time ” jumped off the shelf into my hand, amazing, I was drawn in instantly and the subject has gripped me ever since. The synchronicities started, first in Tucson, I bought the second book in the Moon/ Nichols series ( Great books) and as I walked out of the bookstore a huge silvery UFO slowly moved across the sky. Next I met Helga Morrow daughter of scientist Dr. Frederich Kueppers who worked directly on the Montauk project and she shared interesting details, which confirmed some of the stuff in the Montauk books. Next I befriended a gentlemen from New York who worked for the company that built the underground facility at Montauk , but he would not confirm or deny any personal involvement. Next have a dear friend from Atlanta who dated for over a year, the main guy (Duncan Cameron) the man who sat in the time machine at Montauk. Next I met a hypnotherapist that had direct contact with one or more of the “Boys Of Montauk”. 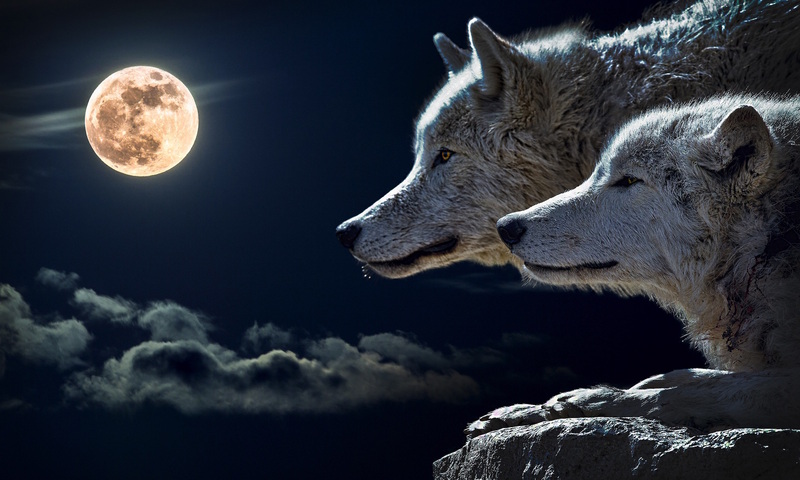 And last, but not last was a 2.5 hour meeting with Al Bielek- a Montauk and Philadelphia Experiment direct experiencer- see our posting “The day I met Al Bielek and the Wolf” May 21 2007. If you feel you maybe part of this wild and crazy Montauk world (and you will know) -Please contact me by sending a comment on this posting. I will not post it without your permission. Understand all comments are held for review , too much spam stuff out there. More to come — enjoy life is very short. Amazing beauty – of the mountain called Shasta. Surprised to see that we are reaching the homelands of France or Italy! Since I am not familiar with this written language I must say â€œthank youâ€ for your confirmation and response to my last article! I do have an inkling this â€œCommentâ€ was received from Italy as one of the main speakers who spoke during the â€œUFOlympicsâ€ comes from Italy, and that speaker is Paola Harris, but none the less thank you for keeping up with the information on â€œTruth Seeker Forumâ€. This just shows that â€œTruth Seeker Forumâ€ is growing and reaching people not just from the United States! The pictures on the â€œCommentâ€ section are just GREAT!! Whoever the photographer is please stand up and take a bow, â€œthank youâ€! You will find many pictures and documentations on the internet about extraterrestrials space ships that have been sited and photographed. An excellent source to view sightings and view pictures of alien ships go to George Filers Majorstar.com These extraterrestrial ships come in many sizes, shapes and colors. Iâ€™ve seen only the silver or white colored ships along with the black colored ships. The majority of these ships at night do appear to be black in color. Iâ€™ve been mostly on board the round ships, small or medium sized ships and a particular large mother ship. One night when a â€œDarth Vaderâ€ looking entity came to â€œpick me upâ€, (I talk about this experience in my book â€œMorning Glory Diary of an Alien Abducteeâ€). This â€œDarth Vaderâ€ entity who I also thought to have a breathing problem as he appeared to be breathing through some type of device that was attached to his head gear. I was walked through my bedroom wall to the balcony where stood a small rounded, two seat ship. It appeared black in color; the construction of the ship appeared to be a smooth black metal. I was directed to step though an open door way, not noticing an attached door above or to the side of this vehicle. The back seat was located directly right behind the lower front seat but was raised up approximately one foot higher than the front seat. The front portion of this ship from high above the front seat was a large viewing glass which stopped and became this metal. This rounded viewing glass surrounded both sides of this small ship. This small ship did not have propellers, nor wings of sorts. It appeared to be a smooth black metal. There was a light source though coming from somewhere that illuminated a small area on the balcony. I was told to sit in the front seat and this â€œDarth Vaderâ€ person/entity climbed in and sat directly behind me. Some type of strapping belts of sorts was put around my body for restraint. A small panel of buttons that flashed red and greenish lights was located directly in front of me. I remember the seats were made of some type of soft cushioned material, with a high back to the seats. The front of this oddly rounded shaped ship was pointing North, as we were sitting in a North direction. I was asked to push a large round button on the panel and from within the top of this vehicle came down doors that locked and sealed us in. Instantly you could hear and feel air being drawn into the inside of this vehicle. I also had a device put over my mouth and nose. I pushed at this device as it was being put onto me because for a while it covered my eyes. I was then asked to push another two to three buttons on this control panel and suddenly, smoothly, very quietly this vehicle rose slowly off of the balcony allowing me to see down below and all around. Rising high and far above the Sandia Mountains and looking at the vastness of the lighted landscape of Albuquerque. This vehicle rose until I could not see the landscape of Albuquerque or any other distinguished lights below. This process which seemed to have taken minutes was just seconds as it quickly rose to I donâ€™t know where or how high we were, but feeling a gloved hand under my chin as it raised my head to look upward at the most beautiful night time of millions, and billions of stars. Feeling the normal touch on the side of my temple area I blacked out to awaken on an extraterrestrial mother ship. Destination: UNKNOWNâ€¦â€¦. Russia’s most famous UFO investigator – AJAJA (one name like a rock-star ) shows us his drowsing techniques around a famous 1961 crash site. Next Russian Astronaut admits having dogfights with UFOs and there were major sightings and battles over military bases in Russia 1967 and 1948. Lastly KGB did a massive cover-ups and did the largest data collection of info. on UFOs in the world.